Whether you live in the upscale neighborhoods of Stone Oak, Alamo Heights and Alamo Ranch, the hip neighborhoods of Southtown, you call the Medical Center home, or you’re technically outside city limits in Helotes or Leon Springs, there’s one thing that connects all of us – we’re all residents of Bexar County, one of the fastest growing, most diverse and most cultured counties in the entire state of Texas, and maybe even the entire country. Every corner of San Antonio is enveloped by Bexar County (and the same is nearly true the other way around, too, San Antonio continues to grow outward toward the edges of the county). The county boasts an abundance of military bases, personnel, and culture. It also offers a wide array of landscape, as the county is bisected by the Balcones Escarpment, with the rugged Texas Hill Country to the north and the Blackland Prairie to the south. The population of Bexar County has been one of the fastest growing in the entire country, as many of the communities and neighborhoods across San Antonio have seen significant growth over the past decade or so. 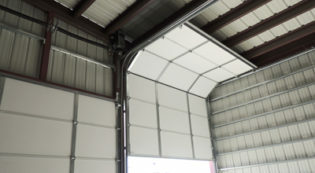 Helotes Overhead Garage Doors has been serving residents of Bexar County and nearby areas since 1985. We offer a variety of affordable Bexar County garage door services, including garage door repair, garage door maintenance, custom home remodeling and more. Contact us today to learn more about our custom garage doors throughout the all of Bexar County and the San Antonio area! When you’re in need of a new garage door for your Bexar County home, contact our team of dedicated professionals! We’re experts at matching your garage door to your home and making sure that it’s not only the perfect look, but that it functions perfectly. We’ve been serving the Bexar County area for over three decades. We offer a wide selection of styles, colors, and sizes. We offer CHI Brand doors and can accommodate nearly any style preference. 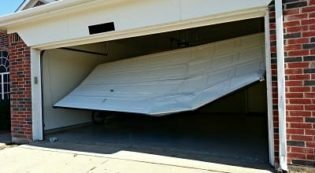 Did your garage door fall off the track? Accidentally put a dent in it while backing out? Is your chain, pulley, sensor, garage door opener or handle broken? Not to worry! We’ve got you covered. 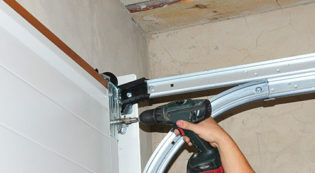 It can be easy to forget about, but your garage door is the largest moving part of your house. Performing routine maintenance can save you hundreds of dollars a year and can also prevent unwanted accidents that cause property damage or serious injuries to you or your family. Call our experts today to ask about our affordable garage door routine maintenance program today. 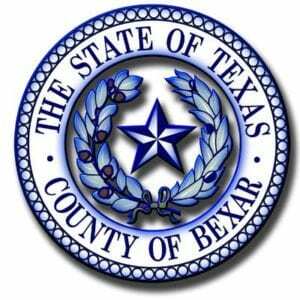 We love serving the Bexar County community for all your garage door maintenance needs. With as much use as your garage door system gets, it’s no wonder that the parts and components eventually wear out. When yours start to act a little faulty or fail completely, contact our team for help! 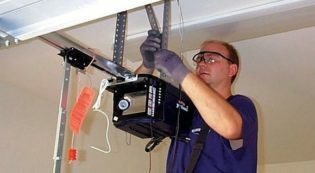 We always look to repair any parts that we possibly can, and when a repair ins’t possible, we’re able to completely replace the faulty part quickly and with the exact right match for your system. Aesthetics matter in many neighborhoods across Bexar County. For a timeless, traditional, classy look, consider a wood garage door from Helotes Overhead Garage Doors. 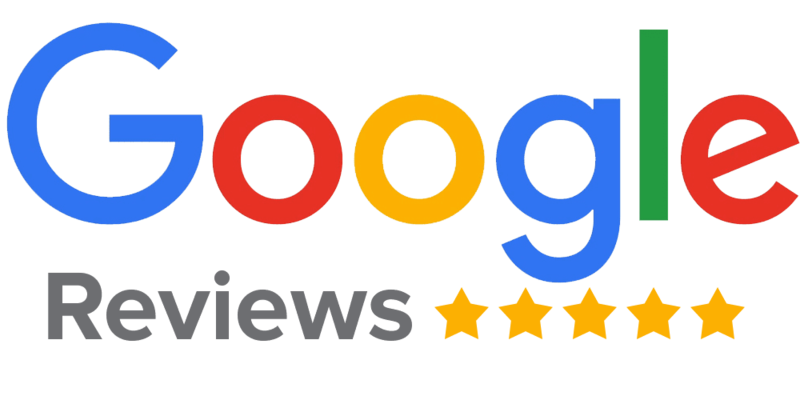 We’ll build you the perfect garage door, install, and maintain your door to keep it looking and working great for years to come. 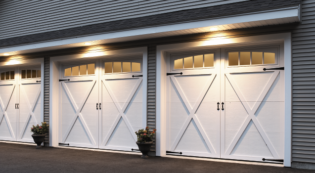 When you need a custom garage door for your home, consider Helotes Overhead Garage Doors your local go-to for your Bexar County wooden garage door. If you’re looking for a more unique style of garage door, Helotes Overhead Garage Doors is here to help. We offer custom door options that can accentuate your home’s features and improve your home’s appearance. We can install your custom door, wood door or CHI Brand steel door. For affordable garage doors that are built to last, contact us today! Everyone thinks about the massive residential growth in the Bexar County area, but there are a lot of commercial businesses, too. If you’re looking for a company that knows how to help with your Bexar County Commercial Overhead Door, we’re here to give you a hand! We can handle the installation, repair, maintenance and replacement of any commercial door. We’ll make sure that your door is equipped to handle your commercial needs for years to come. 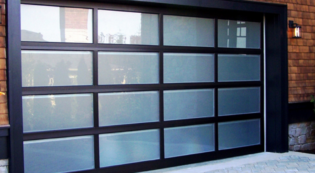 We’re much more than just garage door repair services. 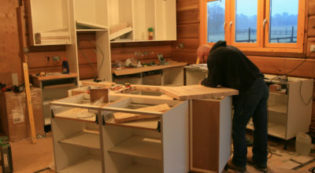 Most people don’t know it, but we also offer whole home remodeling and construction services! We can manage any project ranging from building a fence or deck, painting your interior or exterior, or even remodeling an entire room or home. Contact our team for a free estimate! Part of the allure of life in Bexar County is the ability to enjoy your own outdoor space without being cramped up against neighbors. Here at Helotes Overhead Doors, we can make that a reality. In addition to Bexar County Garage Door Service, we also offer remodeling, building, and construction services! 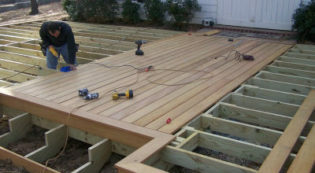 We’re experts at Bexar County Fence and Deck Building, and can create a custom fence or deck for your property. Contact our team for a free estimate! Looking for someone to help brighten up the exterior or interior of your home? Here at Helotes Overhead Garage Doors, we’re way more than just a garage door company. 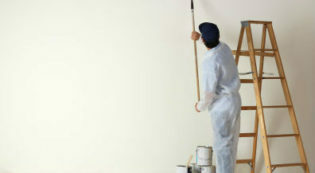 We now offer Bexar County Painting Services for the interior and exterior as part of our remodeling, building, and construction services. We can handle any job from one room to a whole house. Contact our team for a free estimate! San Antonio, Helotes, Boerne, The Dominion, Fair Oaks Ranch, Timberwood Park, Stone Oak, Shavano Park, Hollywood Park, Castle Hills, Hill Country Village, Alamo Ranch, Alamo Heights, Bandera, Pipe Creek, Bulverde, Spring Branch, Castroville, Medina Lake, the Medical Center, Leon Springs, Leon Valley, Balcones Heights, Olmos Park, Terrell Hills, Southtown, Monte Vista, Tobin Hill, the Texas Hill Country and many more.